For a $400 price premium over its predecessor, Sony’s A7 Mark II, with improved performance and stellar image stabilization, is worth it. Update on November 5, 2015: An upcoming firmware update will add support for 14-bit uncompressed RAW and phase detection autofocusing. 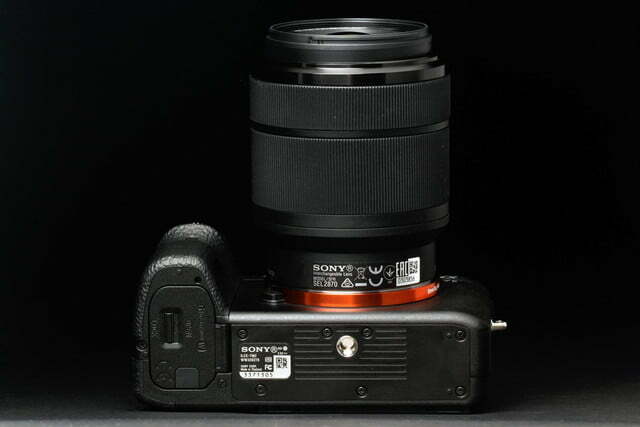 The latter will support autofocusing of select Canon lenses (via adapter). Head here to read more. 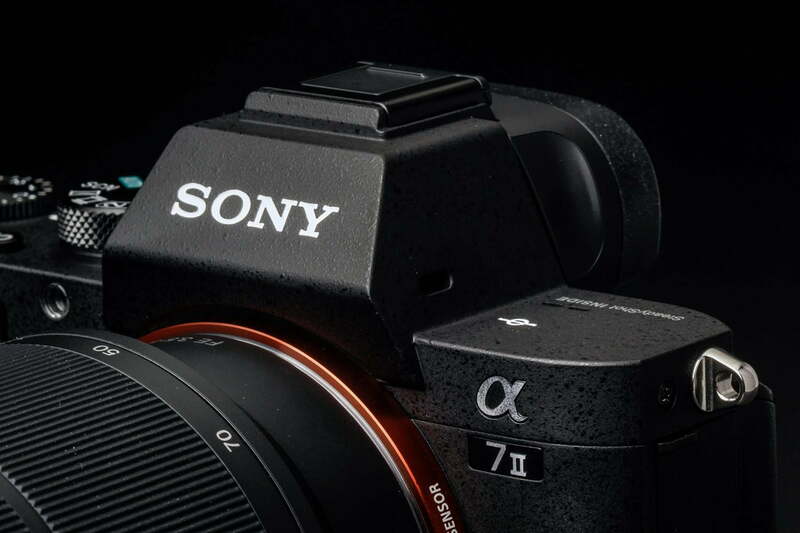 Sony put some major upgrades into its latest full-frame mirrorless camera, the Alpha A7 Mark II. 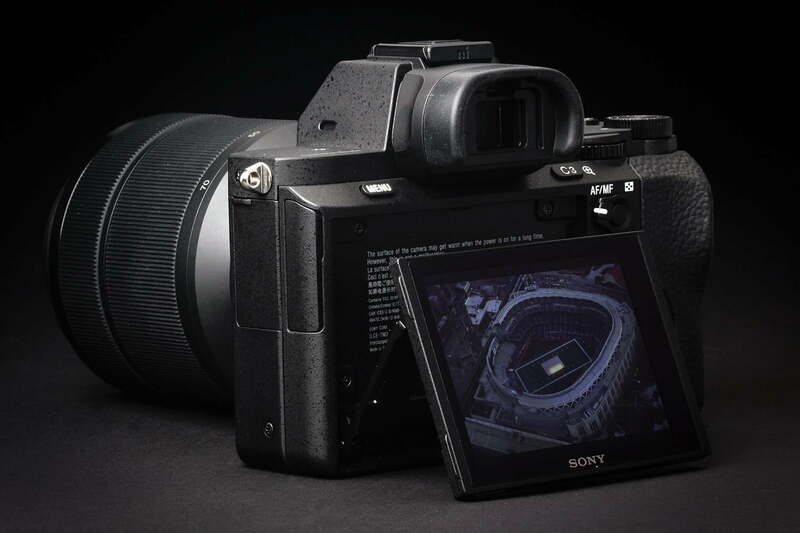 The original 24.3-megapixel Alpha A7 – our 2013 Camera of the Year – was already stellar, but Sony has enhanced it with five-axis image stabilization, faster autofocus, and superior video. We know (as of this writing) 2015 just started, but is the A7 Mark II already in the running for another blockbuster ranking? 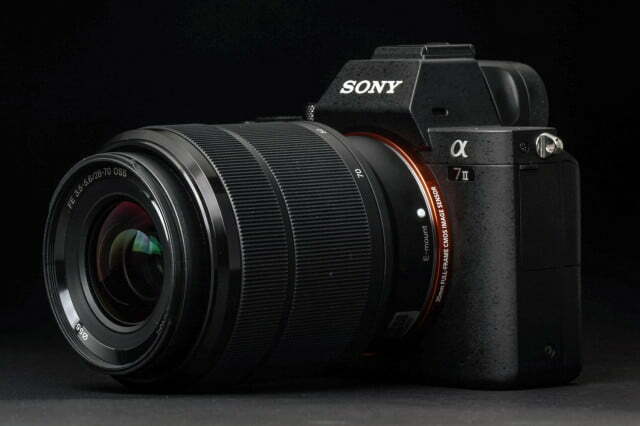 We are huge fans of the A7 and the subsequent models that followed, including the 36MP A7R and the 12.2MP A7S with its off-the-charts ISO (409,600). Although each is different, they all use full-frame image sensors and mirrorless interchangeable lens bodies that are the smallest in their class. Full-frame DSLRs like the really fine Nikon D750 are much bigger and heavier. While the original A7 will still be available for $1,299 (body only) – a relative bargain in the world of full-frame interchangeable lens cameras (ILC) – we recently spent a bit of time with the new Mark II, to see if it is worth $400 more. At first glance the two cameras look similar, but the Mark II is thicker, has a larger grip (more DSLR like), and weighs 21 ounces with the battery versus 16.7 for the original. Overall dimensions are similar but the new camera is 2.4-inches deep rather than 1.9. 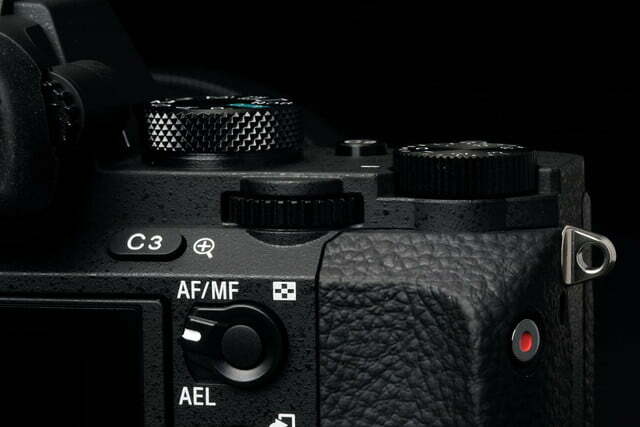 Some controls were rearranged (for example, the the shutter button has moved to the sloped top of the grip, and a recessed job wheel is now nearby on the front), and Sony added internal improvements such as five-axis image stabilization that we’ll discuss in the Performance section. We found the new grip a nice improvement but as always, you need to do your own hands-on. The Mark II uses the E-mount and there are seven full-frame (FE) lenses available including primes and zooms. It’s far from a huge selection but the key bases are covered, and Sony plans to grow it. Other E-mount glass can be used but the image will be cropped, so it’s really not an option if you want full-frame quality. 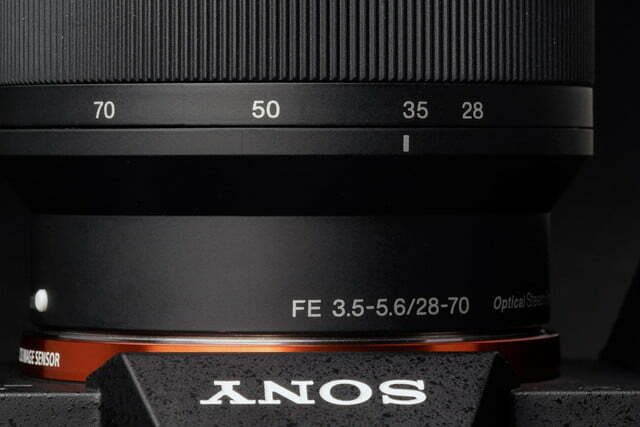 If you have A-mount lenses, an adapter is available for $349 (third-party options can be had as well). 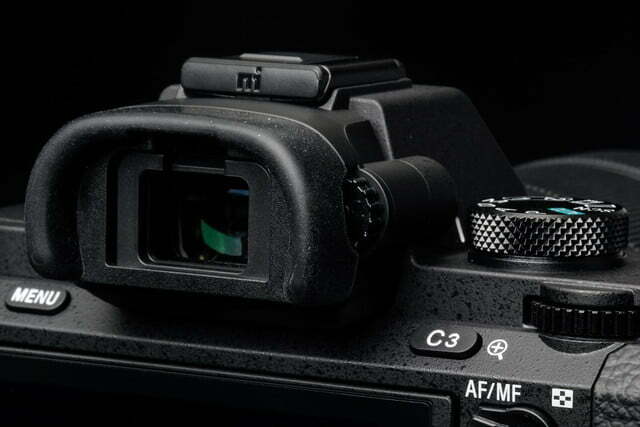 Also on the front is an AF Assist lamp for focusing in low light, and a lens release button. 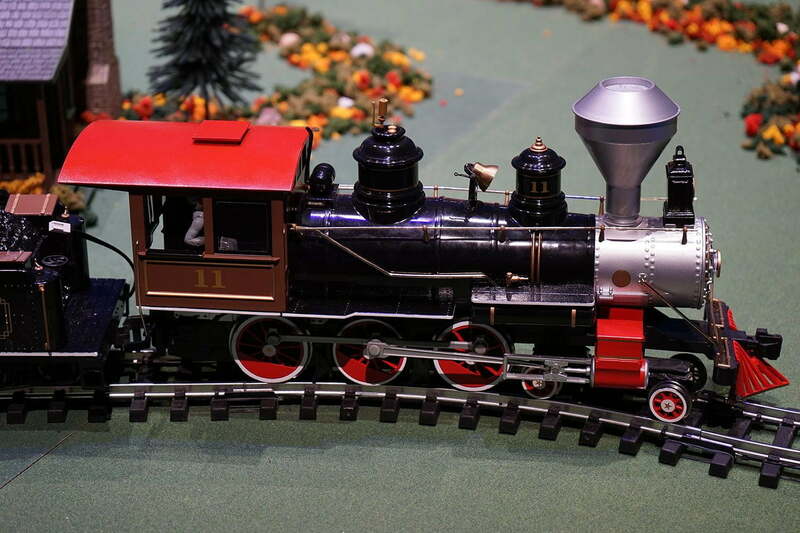 On the top deck of the all-black camera are two pinhole speakers, a hot shoe, stereo mics flanking the electronic viewfinder (EVF), an exposure compensation dial (+/- 3 EV), the main mode dial, and two custom buttons (1, 2); the original had only one. With the custom buttons you can dedicate a specific camera function. The main mode dial has the classic settings of Sony cameras including Auto; Program, Aperture Priority, Shutter Priority (PASM), and Manual; Scene; Panorama; Movie; and Custom 1 and 2. These additional Custom settings let you adjust a wide variety of photo parameters to “recall” at the turn of the dial. The camera offers loads of personalization, but if you prefer to work in Auto or Program AE, they’re readily available too. 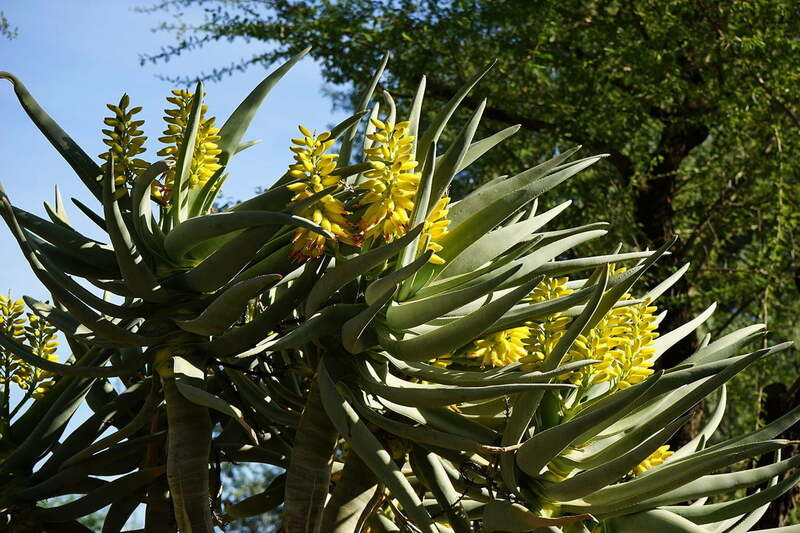 What the camera does not offer is a built-in flash. This is definitely a negative mark even with ISO 25,600 capability; many times you need a fill-flash for a portrait or dealing with heavy backlighting. An optional flash should be added and Sony’s start at $149, but third-party options is available for less. The key features on the back are a 3-inch tilting LCD screen (rated 1,230K dots) and an OLED electronic viewfinder (EVF) with a 2,390K-dot spec and diopter control. The LCD is an improvement over the 921.6K-dot resolution of the A7, but the EVFs are similar. It would be nice if Sony added touch capabilities for menu adjustments, touch focus, etc. to the LCD (like Samsung’s NX1), but both viewing options are near the top of their class. It’s not the end of the world, but just a suggestion for whatever Sony has coming next in the series. 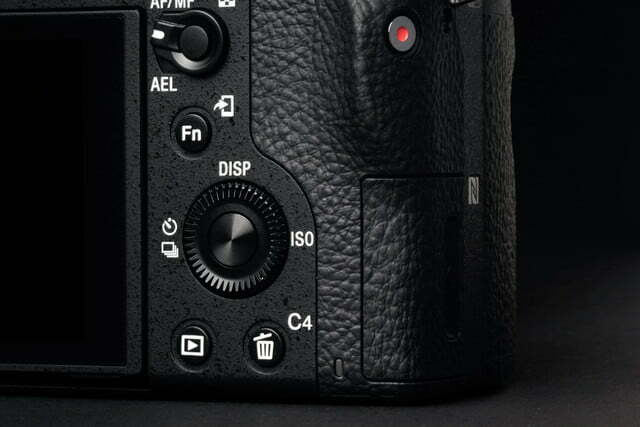 The back also has the usual collection of camera buttons but there’s a slight difference from the original A7: Here, you get C3 and C4 (four total) for additional customization. There’s also a direct access to ISO rather than white balance on the control wheel, which is much more useful. There’s a nicely raised thumb rest with a red-dot video button on the edge of it. It’s slightly recessed so accessing it is not super easy; a reposition to the top deck would be more convenient, but again it’s not a deal breaker. The right side has a compartment for SD or Memory Stick media. Definitely buy SDXC cards (UHS-I or better) to take advantage of XAVC-S video recording. One annoying thing that kept happening is that our right palm would nudge the door open. The NFC tag is here as well for quick pairing with compatible devices. The camera has Wi-Fi connectivity for remote operation and photo transfer (via Sony’s PlayMemories app for iOS andAndroid, downloadable from their respective app stores). 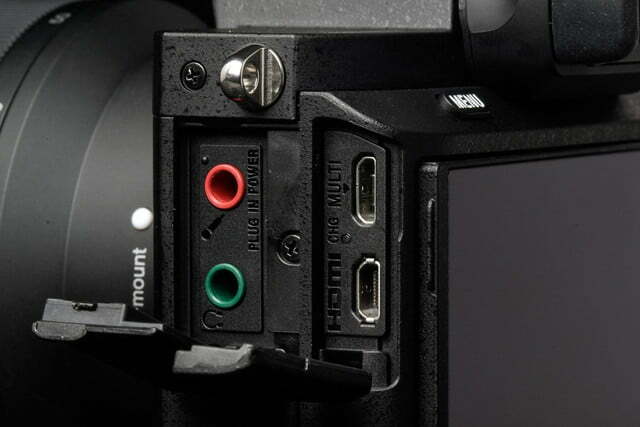 The left has two compartments with headphone and mic jacks plus USB and HDMI outs. 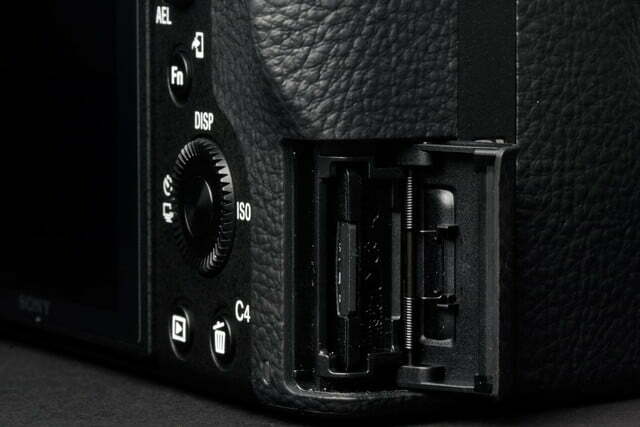 The battery pops into the bottom and is rated 350 shots, a typical spec for mirrorless interchangeable lens cameras. 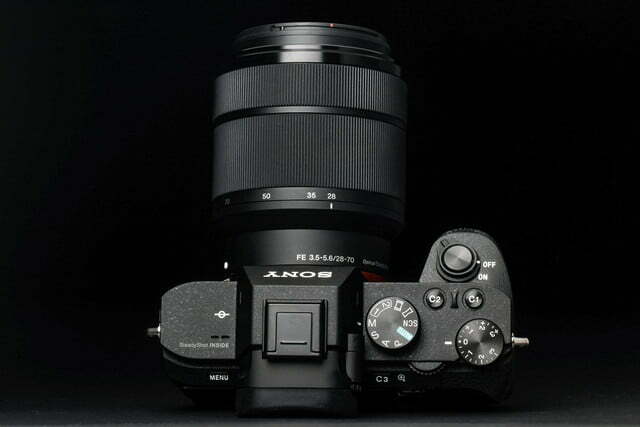 The A7 Mark II is available as a body-only outfit or with a 28-70mm f/3.6-5.6 optically stabilized zoom lens. With either you also get the battery, AC adapter with USB cable to charge it, caps, and a strap. Sony doesn’t provide any software, so you’ll have to download them (PlayMemories Home for handling files and Image Data Converter to develop RAW images) from Sony’s website. Sony offers a limited one-year warranty for parts and labor. It’s hard to beat the image quality delivered by full-frame sensors (unless you’re talking about medium-format, but that’s beyond the grasp of consumers). 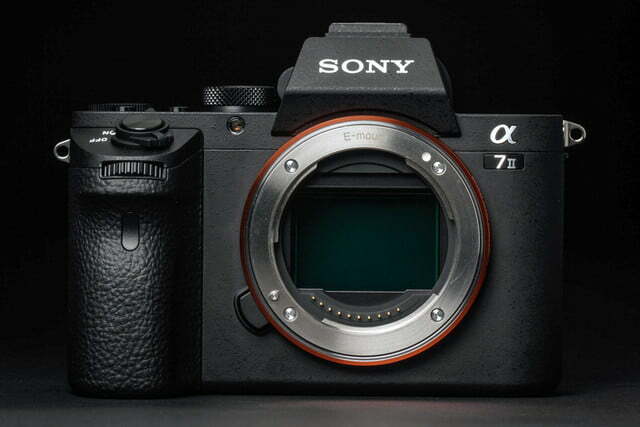 The A7 Mark II uses a 24.3MP sensor coupled with Sony’s Bionz X processor; it’s the same setup as the A7. Sony does claim more accurate focus tracking with the new model, even though the hybrid AF system is the same (117 phase detect/25 contrast detect points). Response is also the same at 2.5 frames per second (fps) burst mode, 5 fps with speed priority. With numbers like that the camera’s not really geared for action, but for landscapes, portraits, as well as videos. Our review unit came with the 28-70mm zoom, and we really put it to the test for several weeks. It was set to highest still and movie resolutions (6,000 x 4,000 pixels, AVCHD Progressive, and XAVC-S at 50 Mbps). The A7 Mark II captures stills that are just as good as the original, which is expected since the basic imaging guts are the same. Where things differ (for the better) is video quality. XAVC-S movies are really fine with rich, accurate colors and barely a hint of blur. AVCHD Progressive, used by the original and available in the Mark II, is also excellent. What really helps them both is the five-axis image stabilization system. Our pans were as smooth as can be, almost as good as using a quality tripod. We love that you can preview the system working by half-pressing the shutter button. It is a winner, no matter if you’re taking stills or movies. 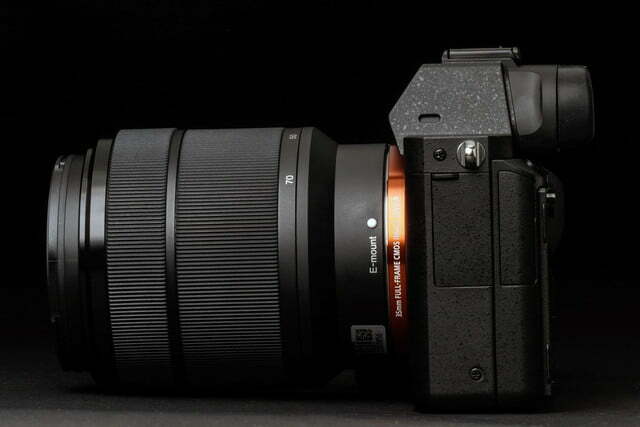 We noticed the shutter is a bit noisy, but it doesn’t sound as clunky as the ones in DSLRs. 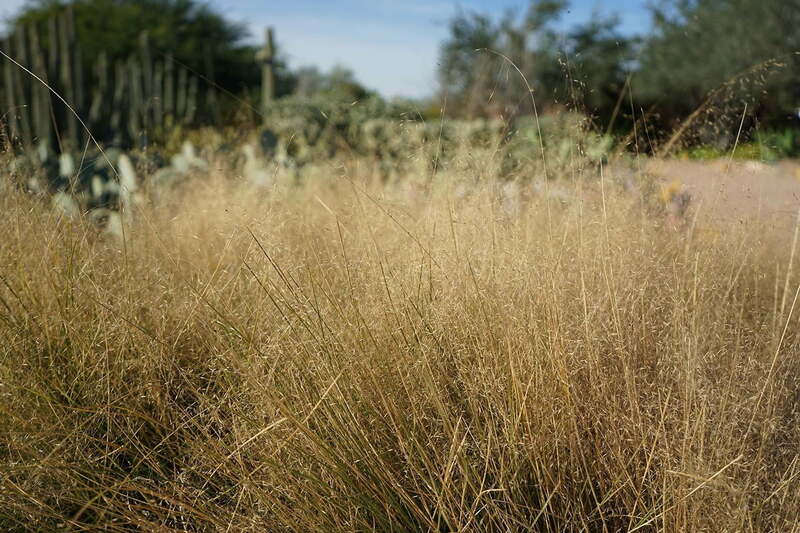 The A7 Mark II captures great stills, but video quality is really fine with rich, accurate colors and minimal blur. 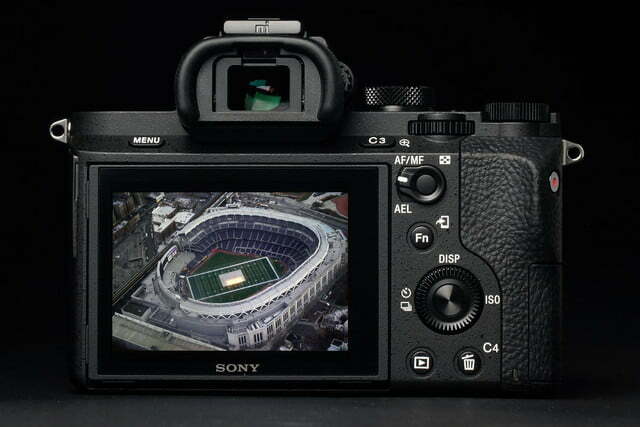 According to Sony, the five-axis image stabilization “corrects camera shake along five axes during shooting, including angular shake (pitch and yaw) that tends to occur with a telephoto lens, shift shake (X and Y axes) which becomes noticeable as magnification increases, and rotational shake (roll) that often affects shots at night or when recording video.” Five-axis systems aren’t new (Olympus and Panasonic use it), but what Sony has accomplished is that it was able to fit such a system into a small full-frame camera body. 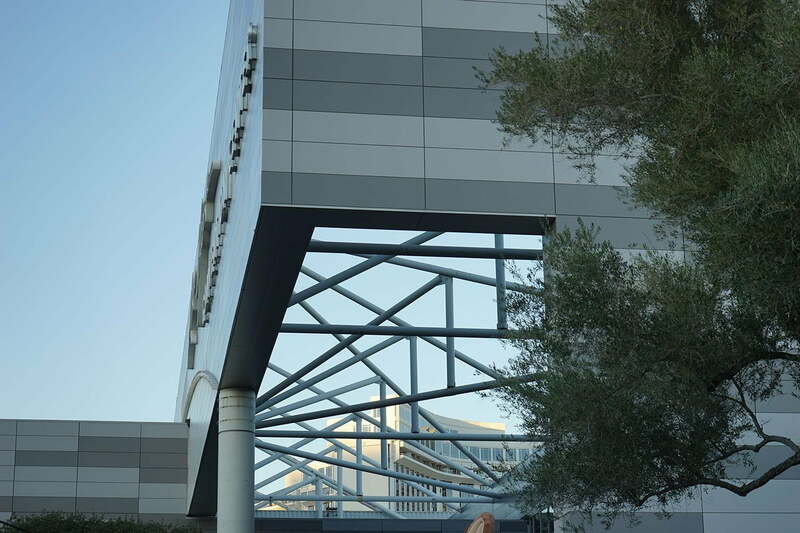 Sony told us that it had to call in many of the company’s engineers to build it from the ground up. 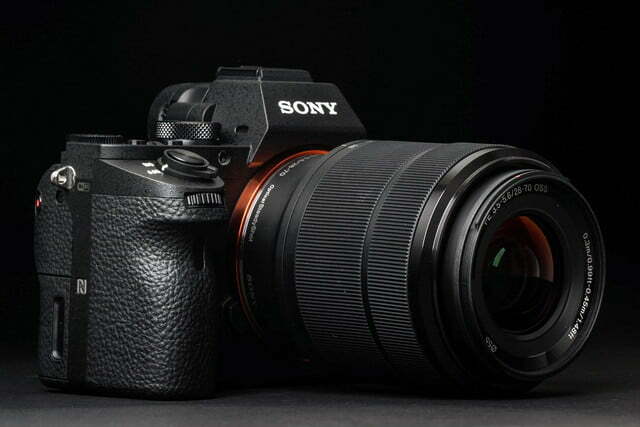 For comparison, we pitted Sony SLT-A99V DSLR – another full-frame camera with a 24.3MP sensor – with built-in IS, but without the 5-axis system. We shot similar scenes using AVCHD Progressive in auto at 50mm just to get an idea if there was a huge difference. The test was rather rough, as we shot clips while speeding in a boat. Even though we bounced around, the A7 Mark II’s videos made the bumpy ride seem almost glass-like. The A99V’s videos were not nearly as smooth although color quality was on par. This wasn’t a super scientific test but we could see the difference and that’s what mattered. To take full advantage of the A7 Mark II’s video capabilities, you should get a fast, large-capacity card. Check out our current favorites from Leef and SanDisk. The A7 Mark II doesn’t have a built-in flash, which is sometimes useful for certain lighting conditions. 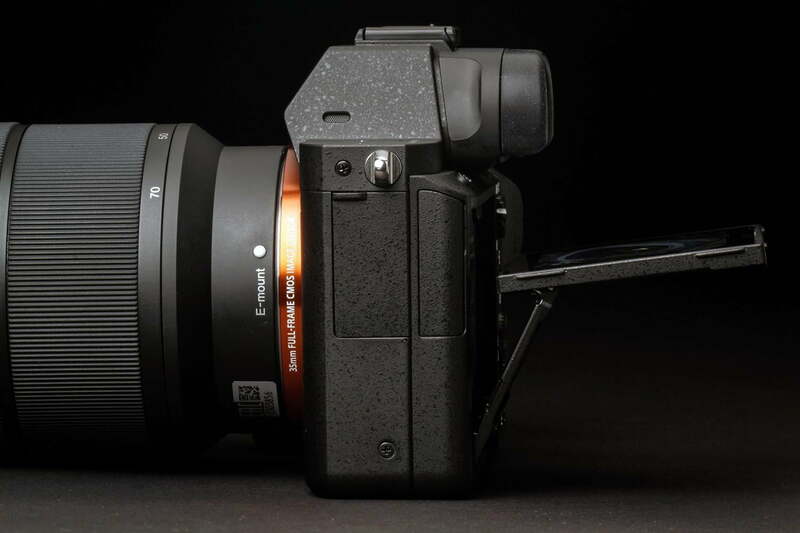 Sony’s selection of full-frame E-Mount lenses is limited, but this adapter opens up the lens options, making A-Mount lenses compatible with the A7 Mark II. 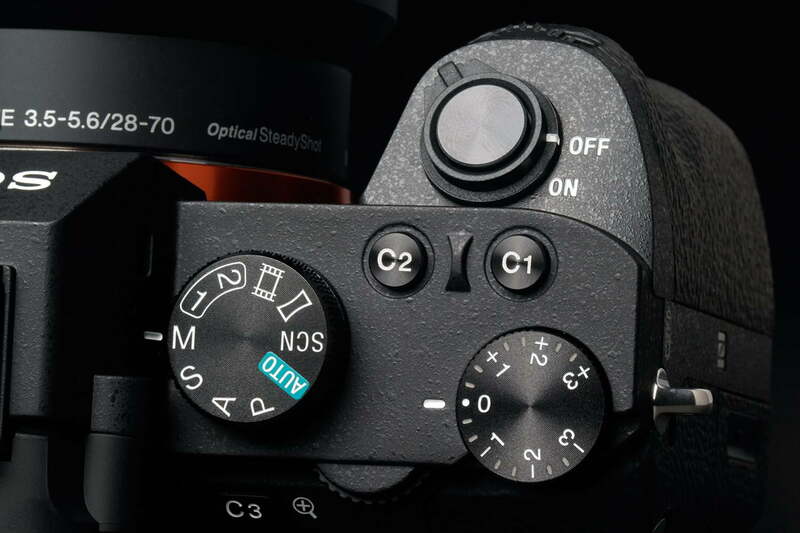 The A7 Mark II has ISOs ranging from 50-25,600, with loads of incremental stops. For our test subject, shutter speed was 1/4 of a second at f/3.5 at the lowest setting, rising to 1/2,000 at 25,600. Even with the slow shutter speed there was hardly any blur during handheld shooting; again, the five-axis stabilization worked like a charm. As for noise and color shifts, 25,600 is not where you want to be but you can get away with 6,400, even 10,000, if you’re not enlarging an image to 100 percent. 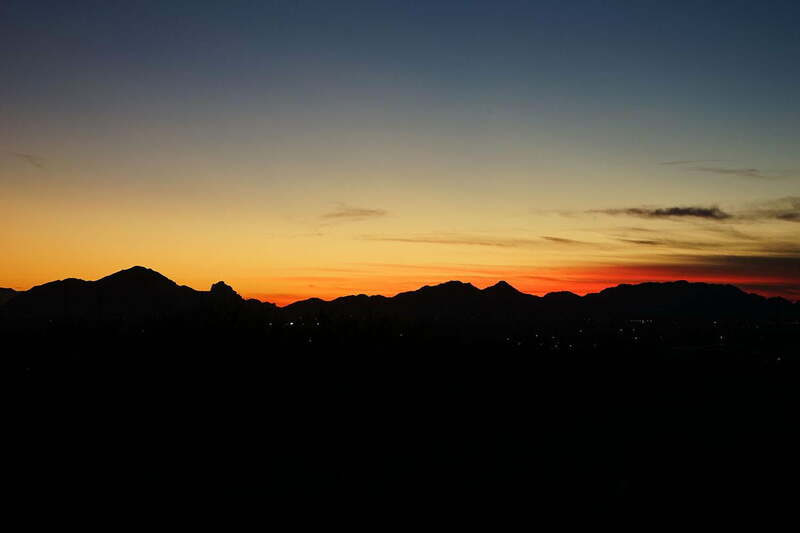 In other words, the Sony is quite the performer in low light, especially if you have a bright lens. 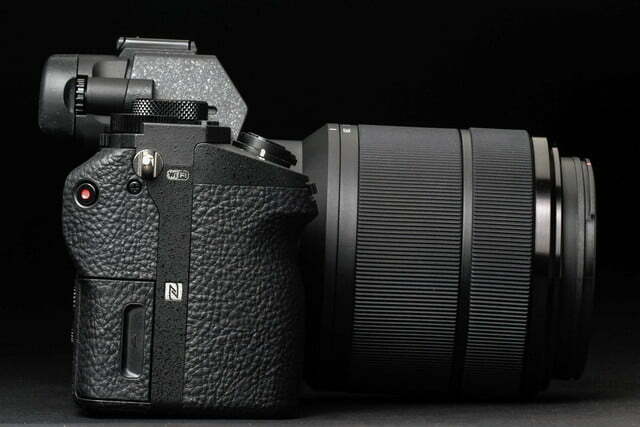 Results weren’t as good as the Samsung NX1, but there are major differences between the two. We highly recommend the Sony A7 Mark II. While you can now get a great deal on the original model and get equally pleasing photos, it is worth spending that extra $400 for better video capture and the terrific five-axis stabilization system. The newer model also has better ergonomics. 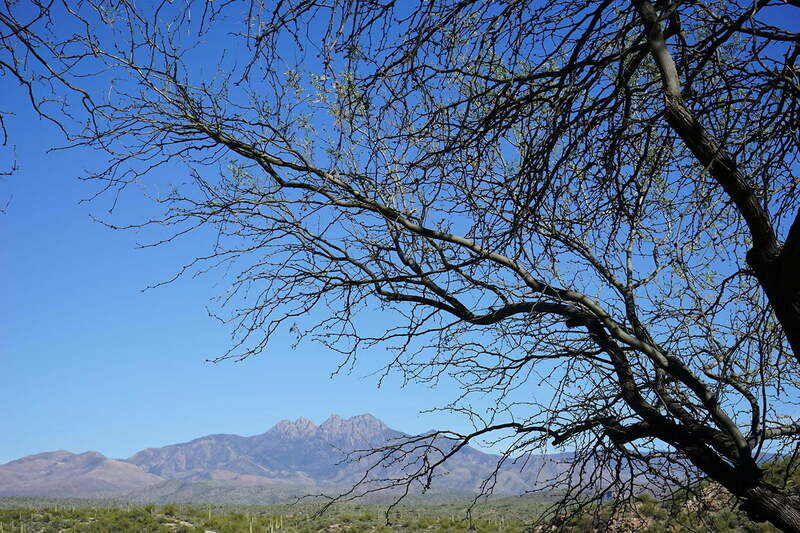 The camera as a whole is worth the money for a long-term investment. However, we must add a slight caveat: Cameras have advanced since the A7 was introduced in 2013, with models like Samsung’s NX1 and the Nikon D750 impressing tremendously. They’re not direct comparisons but if you’re spending close to two-grand, they really should be considered since each has points that exceed the A7 Mark II. That said, you can’t go wrong choosing the newest member of the A7 series.